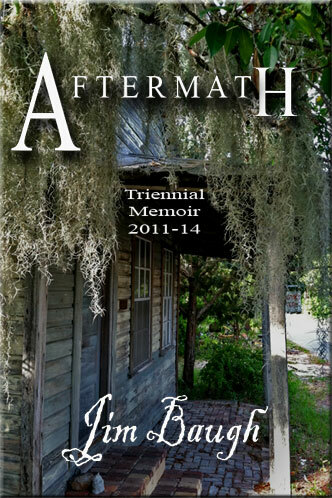 “AFTERMATH” Triennial memoir a solid “6” star out of five! 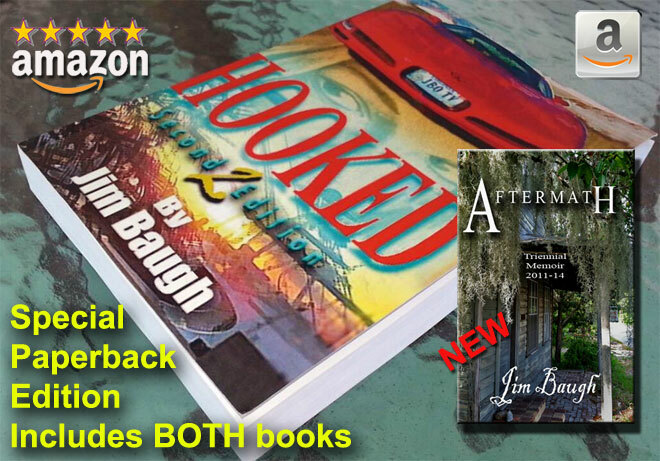 HOOKED: I had the pleasure of reading Jim Baugh’s memoir and when I heard he was writing a sequel I couldn’t wait to read it. My advice is to begin with HOOKED. You won’t be disappointed because he’s had a fascinating life and has a unique gift for storytelling. From the very first paragraph I was enthralled and did not want to put it down as he recounts his growing up years living a boys dream at the York River marina. From youth and into his adult years his story is an experience you won’t soon forget. 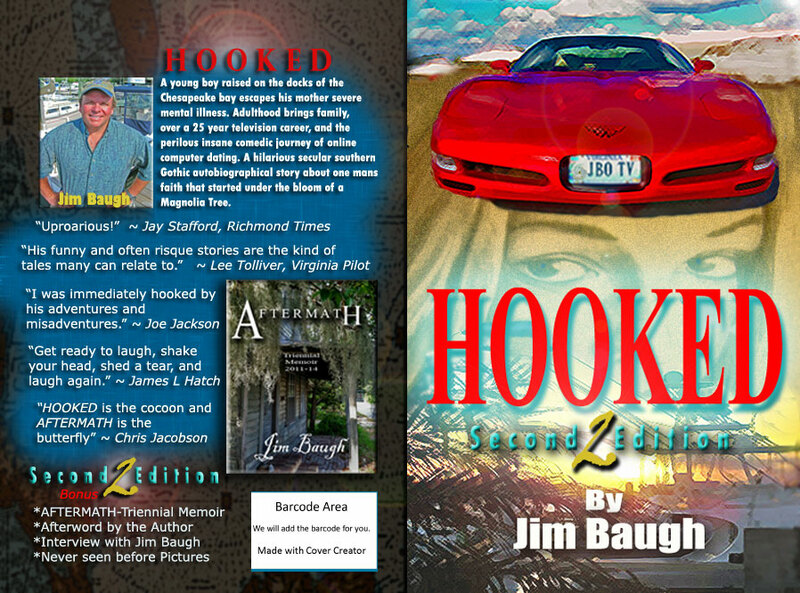 NOTE: “Aftermath” will be included in the second edition release of “HOOKED” by Jim Baugh published by Solstice Publishing on Sept 22, 2014. Available in paperback and Ebook on Amazon and Barnes & Noble. 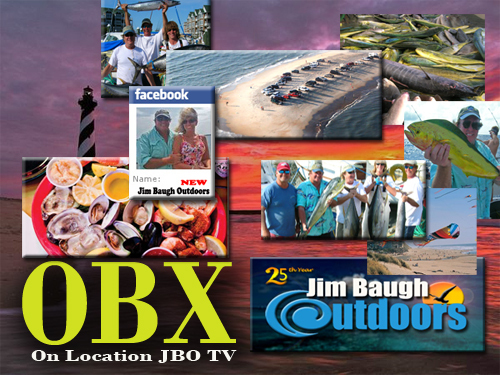 Posted in Uncategorized and tagged bbq, cedar key florida, chesapeake bay, donna bozza, hampton, hooked, jim baugh, online dating, solstice publishing, suzuki marine. Bookmark the permalink. 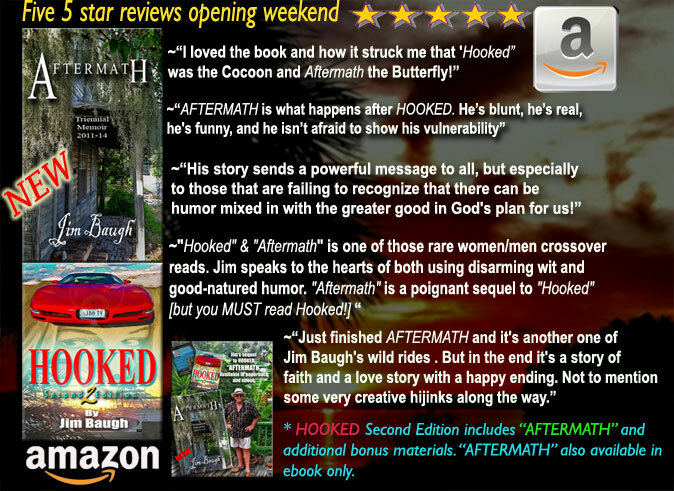 Online release party for the second edition of HOOKED, also included is the release of Jim Baugh’s new book, “AFTERMATH” a triennial memorior. Log on to Facebook, link below and join the party. We will be giving away ebook door prizes every hour from 9am to 5pm eastern standard time. No entry fee. Posted in Uncategorized and tagged books chesapeake bay, florida keys, hooked, jim baugh, solstice publishing, suzuki marine. Bookmark the permalink. 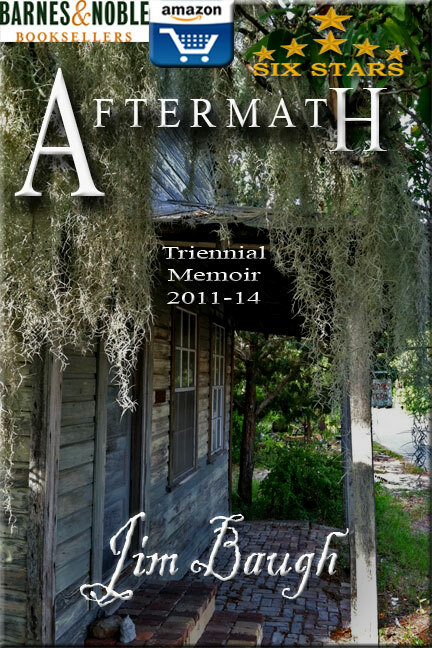 Also I have a heavy writing schedule while in the sunshine state, I will complete the “Aftermath” chapter and other bonus material for the second edition and three year anniversary of HOOKED. On top of that, I am doing my best to get the screenplay completed. The HOOKED screenplay will include most of the fir st edition of HOOKED, the second edition “Aftermath” as well as stories from my second novel “COOKED” that is not even available yet. I have to complete the screenplay first so that is delaying the release of COOKED for a while longer. I am here with my partner Donna Bozza who is an excellent award winning writer and a top editor. You can check out her latest article in May-June issue of Coastal Virginia Magazine Kayaking Karma, which was chosen as a best pic by the magazines editor. Donna will be aiding me with my heavy writing schedule over the summer and it was her idea to work, produce, and write here in Cedar Key for several months. It was a great idea! 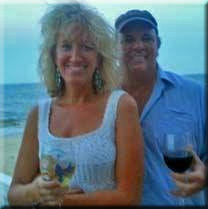 Donna also is writing for her Coastin’ lifestyle blog and beginning to work on her new novel. 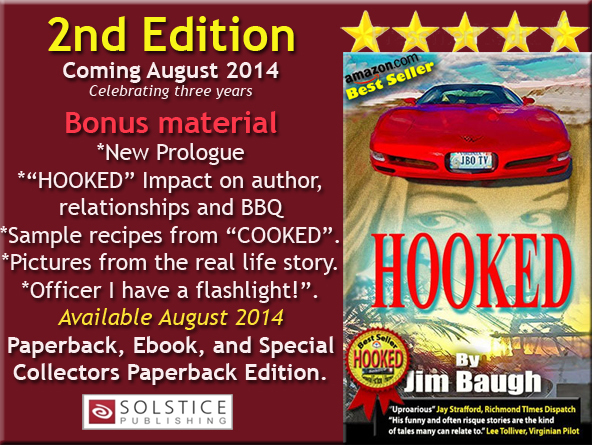 More updates on HOOKED second edition soon, look for the release in late August 2014. 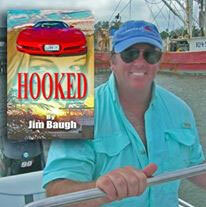 Join Jim Baugh Outdoors on Facebook and LIKE! 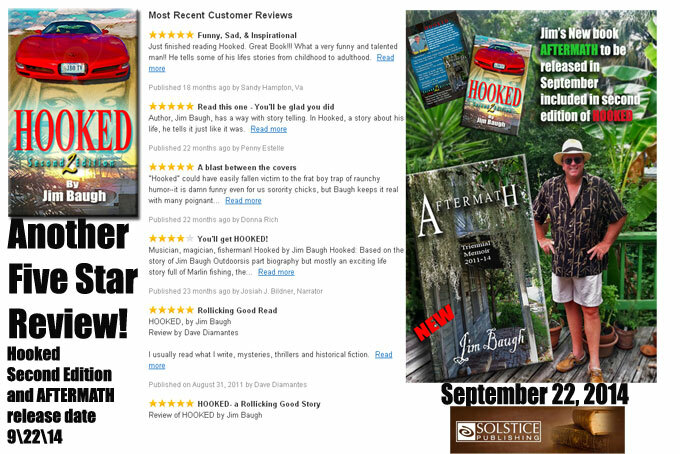 Note: First edition of HOOKED and Jim’s short story ROXSWELL are available on Amazon. 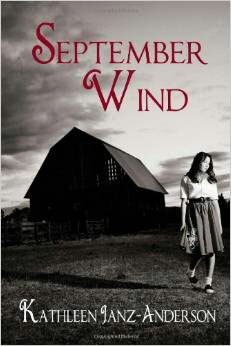 GREAT SUMMER READ!! 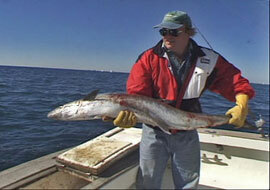 Posted in Uncategorized and tagged amazon, cedar key, florida keys, hampton, hooked, jim baugh outdoors, outdoor channel, seofood recipes, solstice publishing, suzuki marine, the sportsman channel, virginia tourism, virginia writers. Bookmark the permalink. 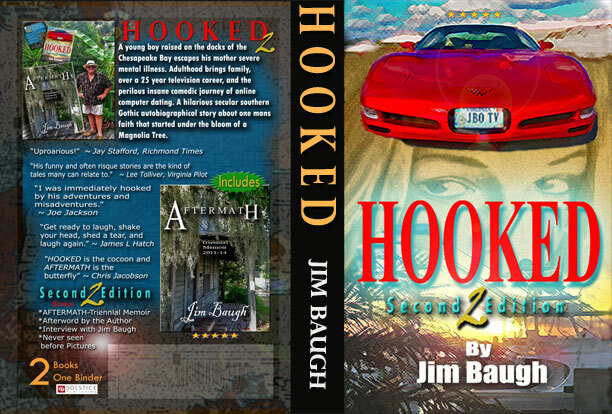 HOOKED second edition to come out summer 2014! Posted in Uncategorized and tagged bbq, chesapeake bay, fishing shows, florida keys, funny nautical books, hampton, hooked, jim baugh, suzuki, virginia. Bookmark the permalink.